Up here in Northern New Jersey it can get really cold in the Winter. In fact, it is not unusual for the temperate to get down to just 5 degrees at night. I keep our thermostat set at 72 degrees so that we stay toasty and warm inside, yet for some reason our son's nursery is always freezing. He is now 7 months old and the time is approaching for him to move from sleeping in his playard in our bedroom to sleeping in his crib in the nursery. There is no way that we can transfer him into the nursery until we figure out and fix whatever the issue is in there that is causing the temperature to drop. 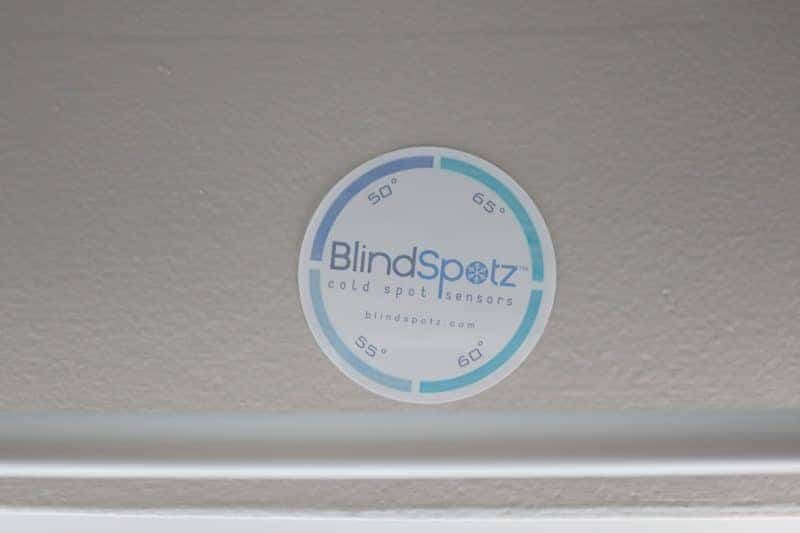 Rather than schedule a costly energy efficiency audit, we decided to give BlindSpotz a try. 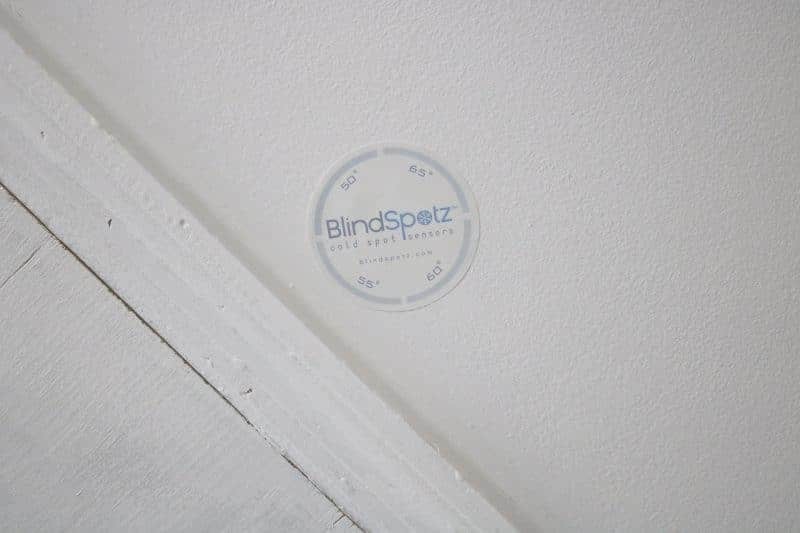 BlindSpotz are DIY cold sensors that work as a method of testing where hot air might be leaking out of your home. 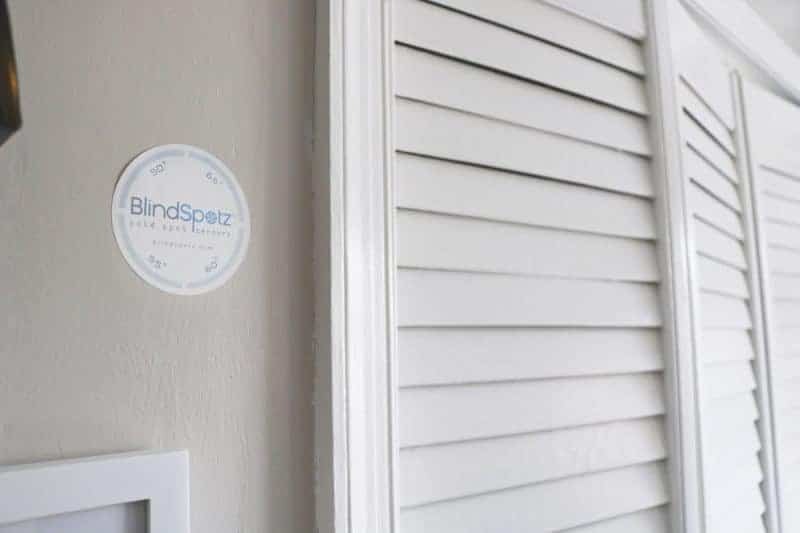 Each package of BlindSpotz comes with 8 cold spot sensors that you simply rub to reset and then place in different areas of your home that you suspect might be leaking air. Between the windows, heating vent, and the attic accesses, there are plenty of places in our nursery where hot air could be leaking. 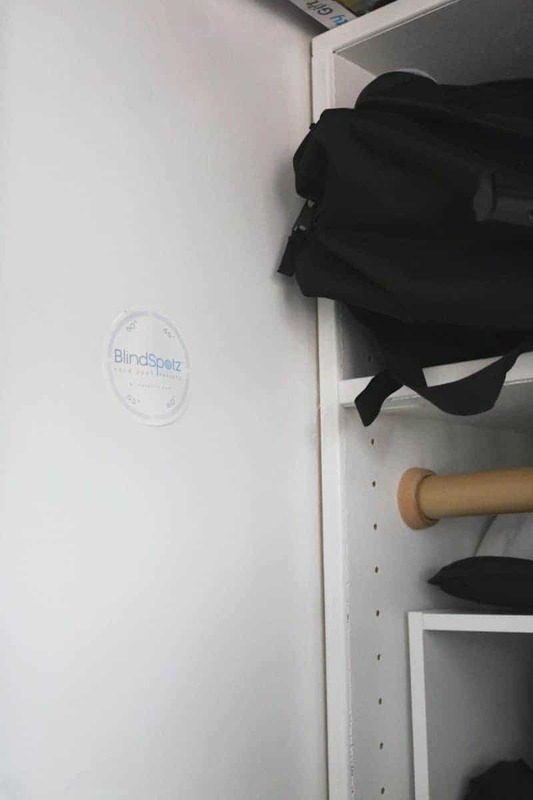 We placed our BlindSpotz DIY Cold Sensors in areas that we thought could be an issue, and then went on to wait the required 48 hours to allow the sensors to work their magic. After the 48 hours have passed we would be able to check the sensors to determine which ones identified cold problems. The sensors' colorbars will become activated when they detect low temperatures. If 3 or 4 of the bars become activated, it means that it has found a spot with a cold issue. When we checked the sensors after 48 hours had passed, we found that the sensor near the window had all 4 of it's colorbars activated. The remaining sensors we had placed throughout the room had not been activated. The results were obvious: the windows in the nursery were to blame for the leaking air, and the temperature drop in the nursery. I went ahead to upload an image of our activated cold sensor to BlindSpotz.com, and they followed up with an email describing solutions to our cold spot problem, along with a coupon to Ace Hardware. 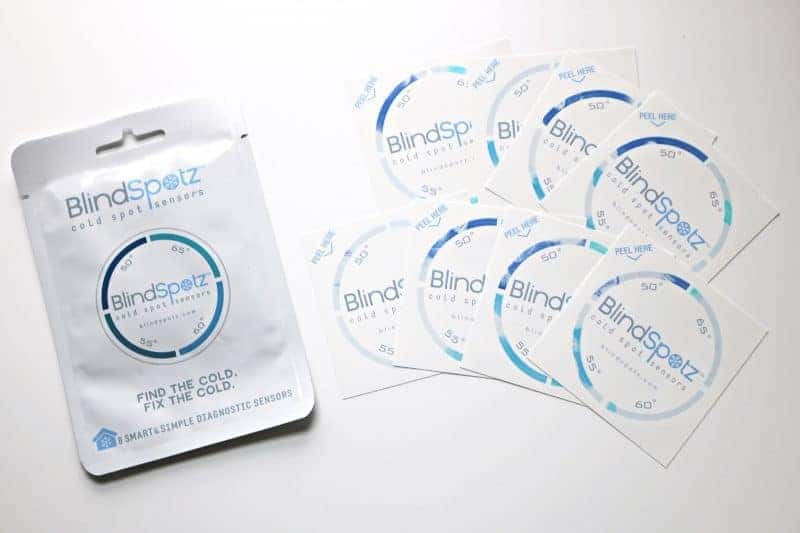 BlindSpotz can be purchased online at Amazon.com. 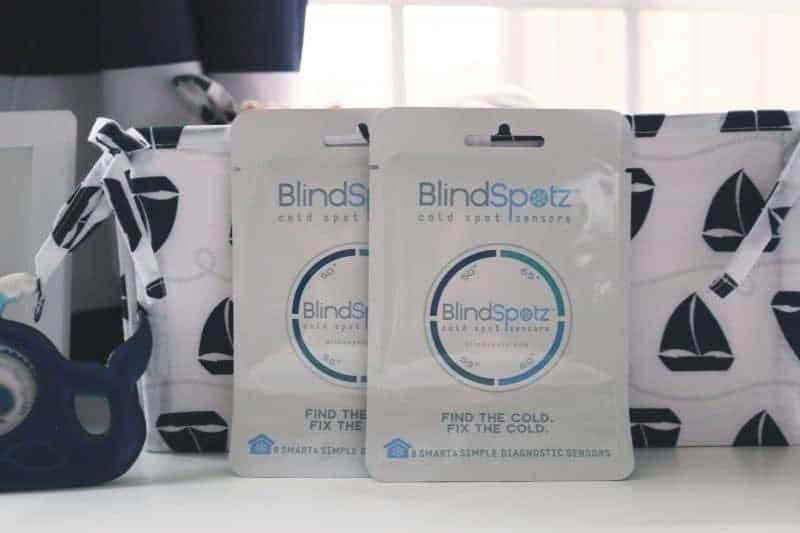 To find out more about BlindSpotz DIY Cold Sensors, check out the informative video below and visit BlindSpotz.com. 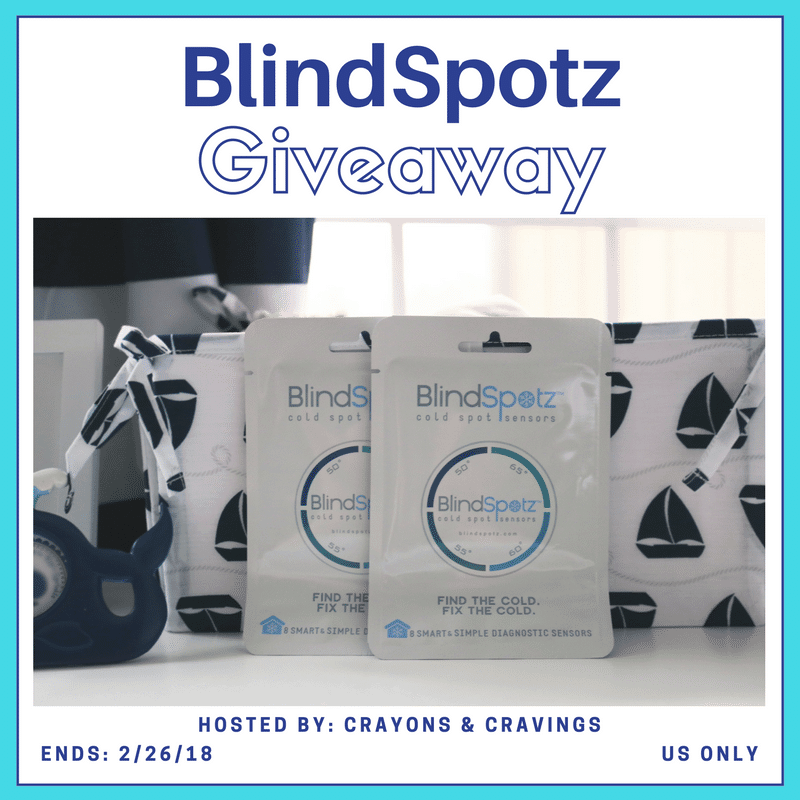 Enter for a chance to win a package of BlindSpotz to use in your own home! Good luck! Terms & Conditions: Sponsor is responsible for prize fulfillment. Crayons & Cravings is not held responsible for sponsors who do not fulfill their prize obligations. The odds of winning are based on the number of entries received. No purchase is necessary to enter. Void where prohibited by law. This giveaway is in no way administered, sponsored, or endorsed by or associated with Facebook, Twitter, Pinterest or any other social media. Those who have won the same prize on another blog are not eligible. The winner will be chosen randomly via Giveaway Tools and contacted by email. Winner will have 24 hours to respond before a new winner is drawn. Allow 4-6 weeks for prize shipment. US only, ages 18+. For any questions contact Jaclyn at dorkysdeals@gmail.com. What a good idea! These can save us money in the long run. I’m all for saving money! Leaks happen in the wierdest places. Places you wouldn’t think of or seem possible. This would be great for our new home. They sounds great. I know we lose energy in our house but I don’t know where. It gets expensive.